Today we created our newest woodworking plan. 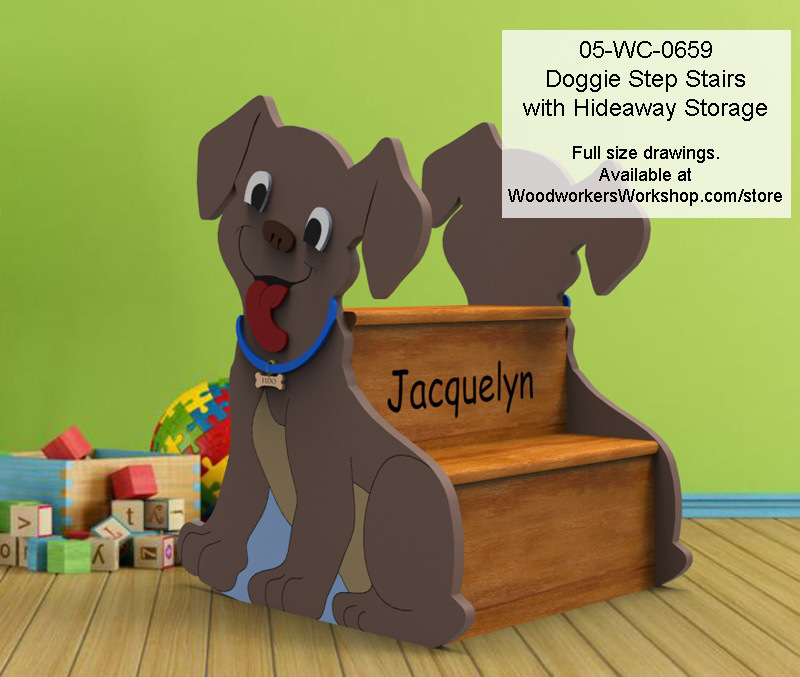 This cute puppy dog step stairs includes a secret hideaway storage compartment. You can choose for yourself to paint on the features of the puppy or layer on the different parts using smaller pieces of wood. The plan also includes the full alphabet and numbers too so you can personalize the project. Full size drawings!